Unique Perspective, Exhilarating Fun, Incredible Value. You’re looking for a thrilling family activity, a short affordable plane ride to create cherished memories for life, a half day activity that’s expected to be a highlight of your time on Maui, or a truly exquisite shared experience with a loved one during a famous Maui sunset. You know there are many ways to do something, usually a smaller number of good ways, even fewer best ways, and often just one, most affordable, best way. An exciting and scenic 60 minute experience (or 90 minutes with extended return): Marvel at the Tallest Sea Cliffs on Earth and view majestic waterfalls cliff-diving into the ocean so closely you can almost feel their cool spray on your face! Perhaps practice a landing at Kalaupapa and travel back in time to the 1870’s when a Leprosy colony was run by Father Damian on this isolated but picturesque peninsula. After take off, maybe explore its Southern side and vivid coral reef and then pass over Kapalua, West Maui before returning for landing. Learn about and practice basic flying and take the flight controls if you want to. OUR MOST POPULAR, UNFORGETTABLE, INTENSELY SCENIC OFFERING WHICH WILL BE A CHERISHED MEMORY FOR LIFE- WE PROMISE AND WE DELIVER BREATHTAKING AMAZEMENT, DAILY! Complimentary champagne, chilled on ice. An exquisite Maui sunset experience. The most exclusive and direct sunset viewing angle of anyone, anywhere on Maui. 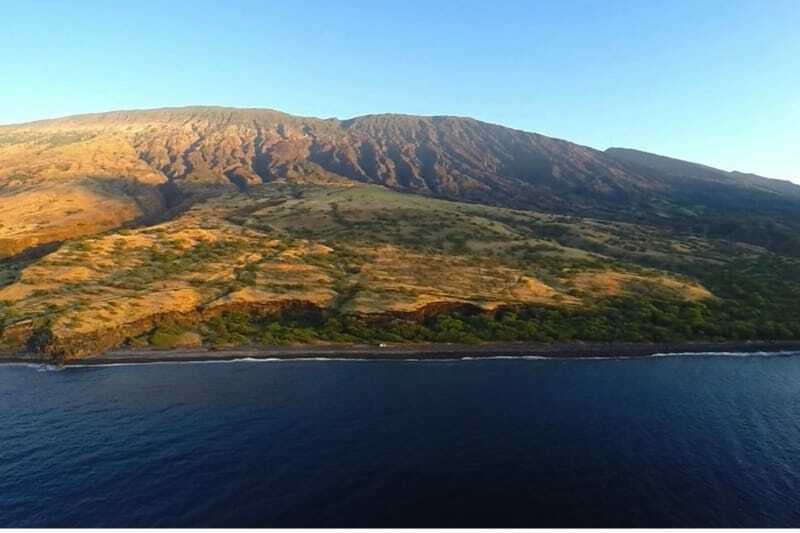 This 60 minute adventure has us flying the plane over Lahaina town, Honolua Bay, Kapalua including the Ritz Carlton property and golf course, Kanapalli, hidden gushing waterfalls, Molokini Crater, the famous Makena beaches, Kihei, and Maui harbor. During Maui’s Humpback whale watching season, thrill your group with this 1 hour flight over breaching, fin slapping and splashing Humpback whales, which flock to Maui’s waters yearly from November to May. It’s a unique and awe-inspiring experience to have an Eagle’s view of the entire ocean. From your aerial perspective, whale watching takes on a new meaning; the sea churns white below as fins, tails and bodies breach the surface of Maui’s warm waters and splash thunderously back down. If you share a passion for these majestic and graceful Humpback whales, and are on Maui during whale watching season, we offer a breathtaking and spectacular air tour and whale viewing opportunity, with high levels of whale activity throughout the entire season, and frenzied levels of peak Humpback whale activity from January to March. 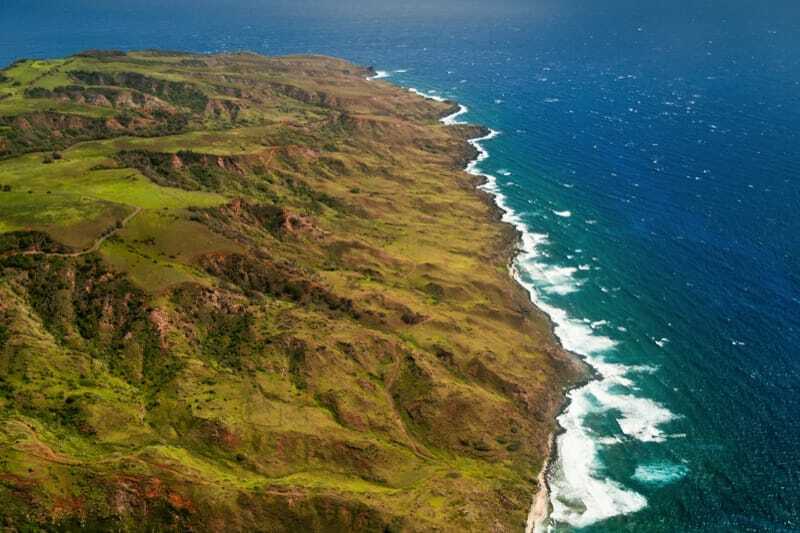 See all of Maui, all at once, as you fly around the entire island during this 1.5 – 2 hour experience. Overfly quaint island villages like Paia, enormously huge, world-famous waves if Jaws is breaking, lovely, hidden Hana with her enchanted scenery and spouting waterfalls, Haleakala volcano slopes and lava flows, Molokini Crater, Maui’s west side mountains, entire luxurious coastline and waterfalls, famous Honolua bay, Kapalua’s resorts and golf courses, and heaps of breaching Humpback whales when in season (November-May). Duration 60 minutes, 90 minutes for complete island. We usually are very aware of weather patterns, Maui Plane Ride will contact you if your flight is delayed or cancelled due to weather. A brief weather delay DOES NOT CANCEL YOUR FLIGHT. If Maui Plane Ride contacts you to cancel your flight, there will be no cancellation penalty of course and we will reschedule on a day and time that suits you. If you haven’t heard from Maui Plane Ride but you’re unsure about the weather conditions, your flight is confirmed and you should meet your pilot. Call us if you’re not sure. Weather tends to get better quickly. We can all head to Starbucks for an hour and be flying after the time it takes to enjoy a tasty beverage or pastry. Same day cancellations are rare. Same day weather “holds” or “waiting” are more common. ALL ATTEMPTS ARE ALWAYS MADE TO WAIT OUT SAME DAY WEATHER DELAYS AND GO FLYING! Anyone under age 18 will need permission from a parent or guardian if not flying with them. Yes, but we can usually accommodate most people. Please check with us if you have any concerns. Height is not usually an issue unless you are very tall. Weight can be more of an issue. Generally a pilot should weigh less than 275 pounds, but we may be able to accommodate some outside this range. In our airplane, the pilot and instructor’s combined weight, along with fuel weight, will influence the maximum weight of additional people. It’s a fun, easy, smooth, comfortable, thrilling and extremely scenic introductory flight lesson and plane ride with a FAA (Federal Aviation Administration) Certified Flight Instructor. It’s a total blast, and a once-in-a-lifetime memory shared forever! What to expect on our Maui Plane Rides Discovery flight? It’ll be clear: You get to do as much or as little ‘hands-on’ flying as you’re comfortable with. We’ll get in the plane, start it up and go fly. It’s all laughs after that. Once we’re airborne, you get to try flying the plane if you’d like to. You’ll get to see local landmarks and intense natural beauty from the air as we smoothly pass overhead. You’ll be able to record your flight in a pilot logbook if you wish, and in your memories, forever. You’re on vacation and enjoying Maui- the last thing you need to do is worry about it. You’ll get to do and fly as much or as little as you’re comfortable with, while flying over and around incredible Maui. What type of aircraft will I fly? Is it Air Conditioned? You’ll fly a fun, American made, Piper Archer featuring Window Seats for everyone! The plane is refreshingly ventilated by freon-free, Eco-friendly, crisp clean cool natural Maui air up at altitude. There’s nothing fresher! Who’s our pilot? Is the plane safe? Is the flight difficult? Your FAA Certified Flight Instructor pilot is fully vetted, tested, and individually, personally, authorized by the FAA via a flight examination with a Federal Aviation Administration Flight Inspector to act as such. Our Instructors have demonstrated over years of flight time experience, only the absolute highest levels of proficiency, safety and smoothness. Your airplane is maintained under FAA regulations and to the same standards as the one that brought you to Maui. Detailed and thorough tip-to-tip inspections occur regularly and are documented and recorded as part of a preventative maintenance strategy. We take care of everything to mirror your level of flying interest so that you, your loved one(s), friends or group can have fun, relax, enjoy and allow cherished memories to be created and shared! YES. You can bring up to two people along on your Discovery Flight. All airplanes have weight limitations. Please give us accurate body weights for everyone flying: no need to be embarrassed; it’s just that weight data is required by regulations. Will I have to do the takeoff and landing? Only if you want to: On your Discovery Flight, there is no “have to do” anything. Your Instructor will generally demonstrate the takeoff and landing, but if you’d like to jump right in, let’s go! You set the pace for your flight. You can do anything you want under the friendly guidance and helpful coaching of your Instructor. Can we fly someplace for a day, or 1-way to Honolulu? Can you pick us up in a few days? Can you pick up someone, somewhere, and bring them to Maui, or take them from Maui to somewhere? No. 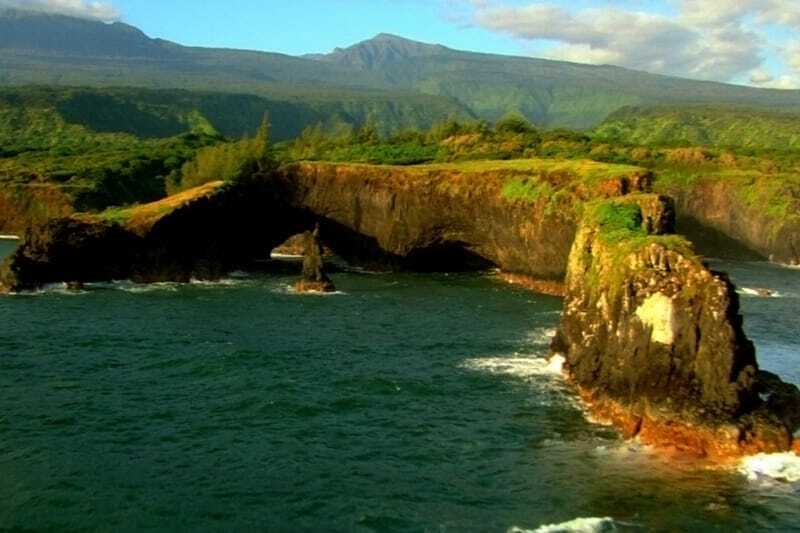 We specialize in our awesome Maui Air Tours and plane rides! Can kids come? Can they fly the plane? YES. YES. Children of all ages are warmly welcomed and specially treated. Children aged 10+ can experience their dream of flying a plane, safely, gently and in a positive, fun way. We encourage you to discuss children’s dreams of flight with them and offer up this transformative, educational hands-on experience with a friendly Flight Instructor ready to inspire them to achieve their loftiest goals. It could be the first flight of many for your interested and dedicated child; the spark that ignites their fire and passion for flight. It’s happened before… to us, actually! Discovery Flights are best suited to students age 10 and up, but younger students are welcome, and can sit in the pilot or copilot’s seat or anywhere else they feel happy. Students under age 18 will need permission from a parent or guardian if not flying with them. There are no age restrictions to begin flying training. What if we ‘no-show’? What’s the cancellation policy? Can I extend flight time during my flight? We’ll make great efforts to reschedule your flight should your plans change, but many visitors have limited time on Maui, and scheduling tends to be full. Therefore, if your plans change and you ‘no show’, and we’re not able to accommodate you due to your island departure or our availability, we regret to inform you that we may impose a 50% cancellation penalty policy. You might find that you want to extend into ‘Over-Time‘, and continue flying for longer than planned. We can usually accommodate your longer flight; your pilot will inform you of rate details accordingly. My group has 18, 26 or 79 people- Can we do it? Of course! We can accommodate up to 3 at a time so that everyone gets a chance to fly. It’s cloudy, or raining, or the weather looks bad? We usually are very aware of weather patterns, and will contact you if your flight is delayed or cancelled due to weather. A brief weather delay DOES NOT CANCEL YOUR FLIGHT. If we contact you to cancel your flight, there will be no cancellation penalty of course and we will reschedule on a day and time that suits you. If you haven’t heard from us but you’re unsure about the weather conditions, your flight is confirmed and you should meet your pilot. Call us if you’re not sure. Weather tends to get better quickly. We can all head to Starbucks for an hour and be flying after the time it takes to enjoy a tasty beverage or pastry. Same day cancellations are rare. Same day weather “holds” or “waiting” are more common. Between you and us, it’s hard to tell who’s more eager to go flying. ALL ATTEMPTS ARE ALWAYS MADE TO WAIT OUT SAME DAY WEATHER DELAYS AND GO FLYING! Will I be OK if I sometimes experience motion sickness? Each individual reacts differently if and when feeling motion sick. Sometimes Maui gives us windy, bumpy rides, which are fun unless you’re feeling ‘green’. We strongly recommend taking motion sickness medication prior to flight, if you know you’ll benefit from it. All fliers should eat lightly before flying. We have air-sickness bags, so if you’re feeling a little ‘queasy‘, please don’t keep it to yourself; just let your pilot know– “it’s no biggie”. (As long as what’s yours stays together in one place. If it’s covering the interior and the rest of us, it’s kind of messy, and becomes sort of a “big deal”.) Where are your Maps and Routes? We’re told that phones now come with cameras inside them, so on many flights, there are up to three cameras already inside the plane, inside your phones that are inside your pockets. We’re happy to make sure all the photos and video you want are taken, including with you in them. We focus on providing a perfect sky experience, and not ordering, stocking and selling gift items. Starbucks is up the road; is free coffee even worth drinking? How are you different than a helicopter ride? Well for one thing, our airplane can safely glide. You will absolutely not be flying the ‘copter, not getting anywhere near any controls, buttons or switches, and definitely won’t be touching anything. In terms of pure thrills: You Can Fly The Plane With Us! There are often some people “stuck in the middle” of a helicopter bench seat, who may need to bend over and lean into strangers to get a look out the window. We offer reserved window seats for everyone! Helicopters burn around 400% more fuel, spew out higher amounts of carbon, loudly. Our plane is Eco-friendlier, quieter, with a smaller carbon footprint. You won’t Pay For Parking in our neck of the woods. H U G E Price Difference. A family of 3 can easily enjoy a $1400 Chopper ride. We can offer you a flight in the same Maui sky, over the same Maui beauty, for around half the price, usually for even less! What are the “risks” involved? Side effects may include uncontrollable, ear to ear smiles and intense sensations of awe, wonder and delight! If flying our Sunset Romance offering, feelings of romance, tingling or sensitivity can range from mild to severe; be sure to check your partners responsiveness level before participating or engaging in our spectacular, luxurious Sunset Romance offering. See a Doctor right away if your Sunset flight lasts more than 4 hours.